So if you follow a few of us blogger types on Twitter, a few weeks ago, you’ll have seen that there were discussions about sleepovers going on – mainly the sort of sleepovers that we used to have as teenagers. (Hair mascara anyone?) A few nights ago, the Sarahs (@sarahs_scribbles and @essbeevee) and I were showing off our pj’s to each other and I realised they were the sort that you wear to mooch about in, the ones that you don’t let the boyfriend catch you in for at least the first 6 months. I’m quite fussy with my pyjamas. I don’t like stringy vest tops, and dislike slogans and cutesy bears. Long trousers have to be LONG. Oh, and shorts have to be of a certain length. These are clothes for comfort, and I can’t be bothered with picking shorts out of my bum while I’m wasting time on the internet. Now theres an image for you. Back in the day, I was a MASSIVE Sweet Valley Twins fan. I wanted to be Jessica. My favourite colour was purple long before I started reading the series, so I thought this was a sign I should be in the Unicorns. Duh. Anyway. These unicorn pyjamas* (£18, Dorothy Perkins) made me think of SVT. The top is apparently blue, but looks purple to me, and those trousers look like hideous 3/4 length ones (why? Just why?) but I am still tempted to buy them. And girls are crazy about unicorns! Theres one sort of PJ that will never look good though. The all in one. Sure, feety PJ’s* sound like a good idea, and yeah, you may have seen that episode of Family Guy with Peter and his rather fetching red ensemble. But this? I knew you would! The unicorn ones disappoint me a bit, hate 3/4 length ones. 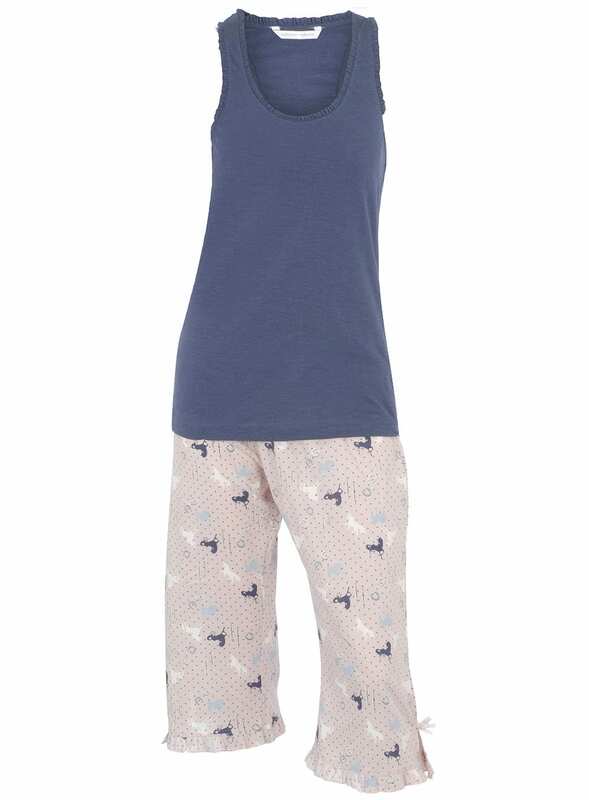 Oh my goodness you’ve just put everything I feel about pyjamas in one handy post! 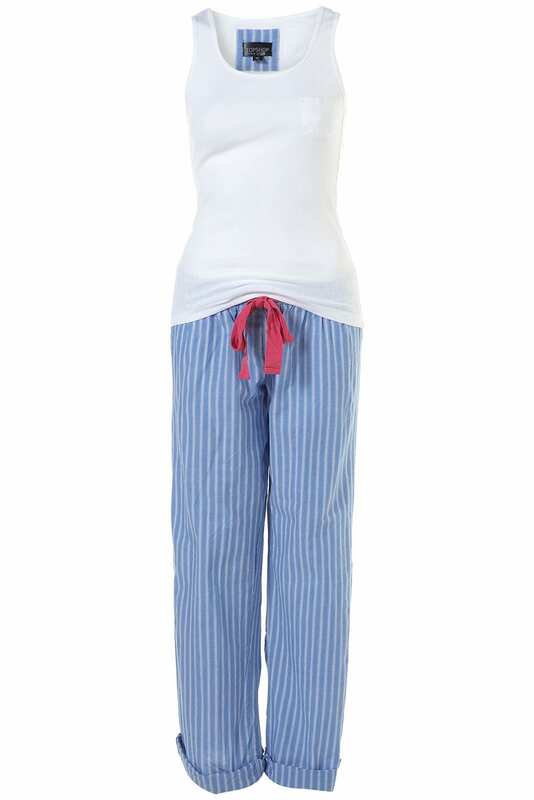 I am CONSTANTLY on the quest for the ‘right’ set of pyjamas, main problem for me being that the trousers are never long enough and I like a bit of support because if I’m in my pjs I don’t want to have to be wearing a bra. Also just had a conversaion this weekend about my hatred for slogans and cutesy nonsense. 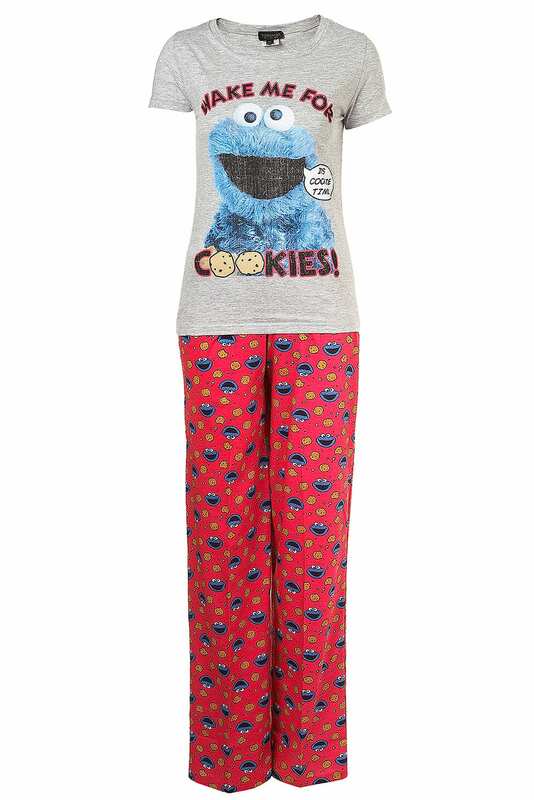 The Cookie Monster just passes in that category – I’m loving those. Like a whole bunch. AND I GET NEW PJS FOR CHRISTMAS EVE TOO!!!! AMAZING!!!! Is the bottom picture the latest line up of teletubbies to make the dads watch and get involved with their kids? I like soft and long jammies. New Look’s jersey trousers rock.